President Trump tweeted Tuesday that his administration is working to agree a "major trade deal" with the United Kingdom that could be "very big and exciting." U.K. officials were in Washington this week for the start of informal talks. But experts don't share Trump's confidence in a quick new deal. "The scope for a really big comprehensive trade deal with the U.S. is very limited," said Peter Holmes, a trade expert at the University of Sussex. "There are a lot of very big obstacles." Such an agreement would be a huge boon to Britain. It has staked the future of its economy on the idea that leaving the European Union will unleash its trading potential because it will be easier to do bilateral deals than wait for the 27 other countries in the bloc to agree. Meanwhile, Trump is eager to show that his trade policies can produce results. Talks are likely to last for years. The Peterson Institute for International Economics found it takes the U.S. just under four years on average to negotiate and implement a bilateral trade deal. Even if negotiators are able to hammer out an agreement quickly, Britain won't be able to sign it right away. That's because the U.K. will remain a member of the EU until March 2019, and it's prevented from inking new deals until ties are formally severed. In the meantime, Britain's top trade experts will spend the coming months trying to hammer out the details of a new trading relationship with the EU, its biggest export market. Major questions still need to be answered, including whether the U.K. will remain part of the bloc's customs union. Until there is clarity, not much progress can be made on talks with the U.S.
Prime Minister Theresa May is betting that Brexit will help turn Britain into "a great global trading nation." If that is to happen, the U.S. will indeed be a top priority once the relationship with the EU is settled. 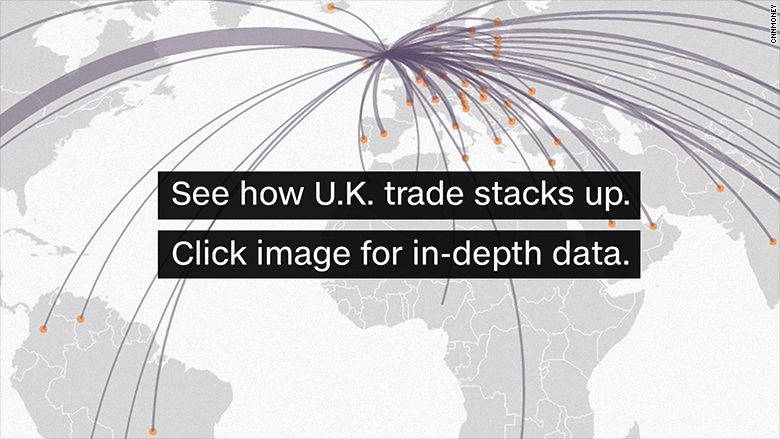 Britain sells more of its goods and services to the U.S. than to any other single country. The U.S. accounts for about 20% of British exports and total trade is worth $235 billion, according to the U.K.
American negotiators will seek to win concessions that open British markets in some uncomfortable ways. A recent attempt by the U.S. and Europe to hammer out a free trade deal collapsed even before Trump became president, partly due to political opposition among Europeans. Britain had its share of skeptics. Chief among them was the current leader of the opposition, Jeremy Corbyn. The Labour politician vowed to stop the deal in order to protect British public services, such as health care, from coming under attack from American companies looking for profit. Any future deal is likely to run into the same concern about public services, consumer protection, health and safety. "U.S. negotiators will likely ask for controversial protections for their multinationals and for access to the [National Health Service] medicines budget," said Evenett. "Both will cause a backlash among many U.K. groups and politicians." This week's talks were overshadowed by chatter in the British press suggesting that a trade deal would allow imports of chlorine-washed chicken from the U.S. The EU does not allow chicken to be treated with the chemical, and the issue quickly became a symbol of potentially weaker food quality standards after Brexit. But it also illustrated the tough choices facing the U.K. government: Lower food standards in Britain would hurt its ability to trade with the EU, which has its own regulatory requirements. Leaving the EU means that Britain will no longer be party to over 600 treaties through the bloc, 34 with the U.S. alone. Many are related to trade and will need to be renegotiated. One problem: Britain has relied on the expertise of EU negotiators for over three decades, and it doesn't have enough trade experts to do the job. The government is racing to hire more officials. "I can't think of a more brutal way for novice U.K. trade negotiators to learn the ropes than negotiating with the Americans," said Simon Evenett, professor of international trade at the University of St. Gallen. "God save them." The inexperienced negotiators are likely to find the deck stacked against them in another way. Britain is the only the sixth largest trading partner for the U.S. behind China, Canada, Mexico, Japan and Germany. The simple math suggests that getting a deal -- any deal -- matters much more to Britain than America. Former President Obama warned Britain that it would be "at the back of the queue" for a trade deal if it left the EU. That changed when Trump took office and moved the U.K. to the front of the line. But Trump has also displayed an isolationist streak, claiming that global trade is rigged against the U.S. and emphasizing the failure of globalization. He has abandoned trade deals that he views as unfair, and pledged to renegotiate others. 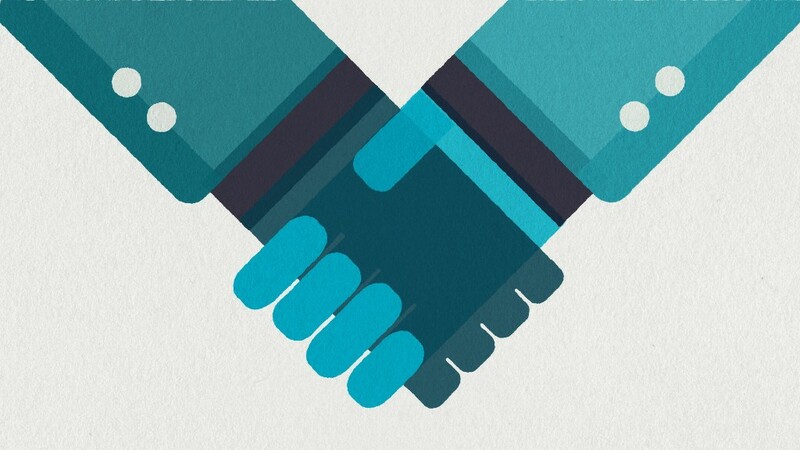 What does that mean for a deal to be negotiated from scratch? Britain will soon find out.